Bornstein, D. (1997). The Price of a Dream: The Story of The Grameen Bank. Chicago: University of Chicago Press. Burton, J. (1990). Conflict: Human Needs Theory. New York: St. Martin’s Press. Gurr, T. (1970). Why Men Rebel. Boulder: Westview Press. Dollard, J., L. Doob, N.E. Miller, O.H. Mowrer, and R.R. Sears. (1939). Frustration and Aggression. New Haven: Yale University Press. Maslow, A. (1987). Motivation and Personality (Third Edition). New York: Harper and Row. Ury, William (2001). Must We Fight? 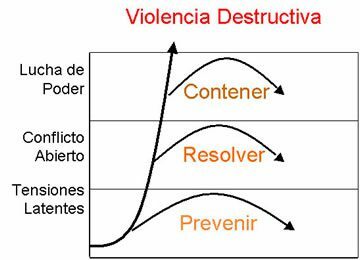 : From the Battlefield to the Schoolyard — A New Perspective on Violent Conflict and Its Prevention. New York: John Wiley & Sons. Bodine, R. and D. Crawford (1997). The Handbook on Conflict Resolution Education: A Guide to Building Quality Programs in Schools. San Francisco: Jossey Bass. Girard, J. and S. Koch (1996). Conflict Resolution in the Schools: A Manual for Educators. San Francisco: Jossey Bass. Godine, R. (1994). Creating the Peaceable School: A comprehensive Program for Teaching Conflict Resolution. Research Press. Landry, E., D. Kolb, and J. Rubin (1991). Curriculum for Negotiation and Conflict Management. Cambridge, MA: PON Books. Kelman, H. (1992). “Informal Mediation by the Scholar/Practitioner.” In Bercovitch, J. and J. Rubin, eds. Mediation in International Relations. New York: St. Martin’s Press. PP. 64-96. Kelman, H.C. (1993). “Coalitions across Conflict Lines: The Interplay of Conflicts within and between the Israeli and Palestinian Communities.” In Worshel S. and J. Simpson, eds. Conflict between People and Groups. Chicago: Nelson-Hall. Beer, J. and E. Stief. (1997) Mediator’s Handbook Third Edition. New Society Publishing. Bush, B. and J. Folger. (1994) The promise of mediation: Responding to conflict through empowerment and recognition. San Francisco: Jossey Bass. Moore, Christopher. (1996) The Mediation Process: Practical Strategies for Resolving Conflict Second Edition. San Francisco: Jossey Bass. Elkouri, F., E. Elkouri, M. Volz, E. Goggin. (1997) How Arbitration Works: Elkouri and Elkouri Fifth Edition. BNA Books. Goldberg, S., F. Sander, and N. Rogers (1992) Dispute Resolution: Negotiation, Mediation, and Other ProcessesSecond Edition. Boston: Little Brown. Goodman, A. (1993) Basic Skills for the New Arbitrator Solomon Publications. Ackerman, P. and C. Kruegler. (199). Strategic Nonviolent Conflict: The Dynamics of People Power in the Twentieth Century. New York: Praeger. King, Jr. M.L. (1958) Stride Toward Freedom: The Montgomery Story. New York: Harper & Brothers. Laue, J. and G. Cormick. (1978). “The Ethics of Intervention in Community Disputes.” In ed. Bermant, G., H. Kelman and D. Warwick, The Ethics of Social Intervention. Washington, DC: Halsted Press, PP. 205-232. Gandhi, M. (1983). Autobiography: The Story of My Experiments with Truth. Dover Publishers. Sharp, G. (1973). The Politics of Nonviolent Action Volumes 1, 2, and 3. Boston: Porter Sargent Publishers. Volkan, V. (1988). The Need to Have Enemies and Allies: From Clinical Practice to International Relationships.Northvale, NJ: Jason Aronson. Washington, R. and G. Kehrein. (1996). Breaking Down Walls : A Model for Reconciliation in an Age of Racial Strife.Moody Press. Barnett, V. (1999). Bystanders Conscience and Complicity During the Holocaust. Greenwood Press. Westport, Conn. 1999. Staub, E. (1997). “Preventing Genocide: The Power of ‘Bystanders'”. Boston Research Center for the 21st Century Newsletter #9. Staub, E. (1998). “Bystander Psychology: Studying the pivotal role of bystanders.” Deathly Silence Guide. Weber, T. and E. Boulding. (1996). Gandhi’s Peace Army : The Shanti Sena and Unarmed Peacekeeping. Syracuse: Syracuse University Press. No Replies to "Recursos por Rol del Tercer Lado"